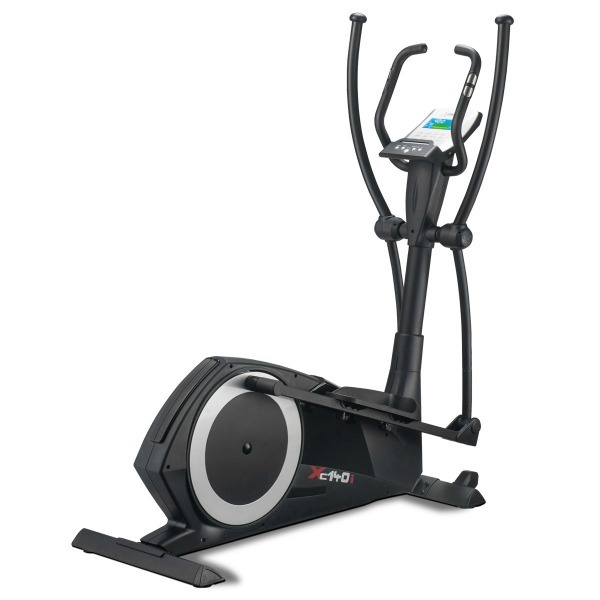 The GX60 elliptical cross trainer is part of the ‘One’ series of home fitness machines from Reebok and the bigger brother of the GX40 that we reviewed a while ago. While it’s little brother did OK in our tests we were hoping to see more from the GX60, so once we got it in our clutches what did we think? 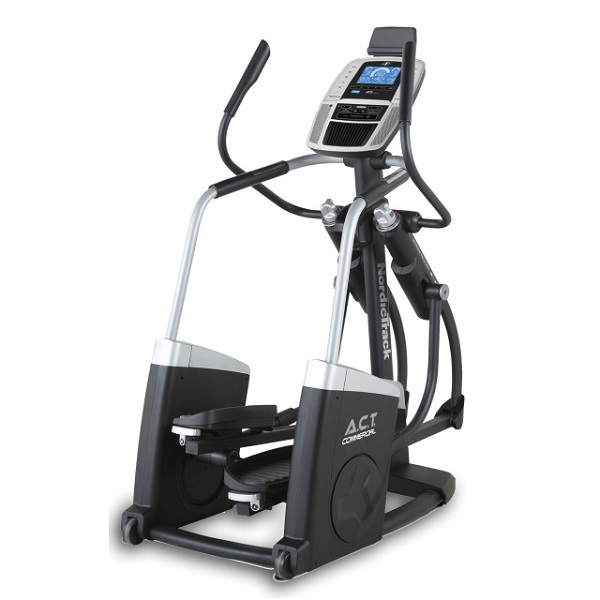 Like most ellipticals these days, assembly is a little fiddly. Reebok have managed to get the build process down to 9 stages which is certainly better than a number of other machines we’ve tested and it took us just under an hour to put it together. The instructions are nice and clear so as long as you don’t suffer from flatpack phobia putting the GX60 together should take around an hour. Having completed the build and taken a step back, the GX60 looks neat and tidy and modern. At just 144cm (56.7’’) long and 62.5cm (24.6’’) wide it’s compact without being tiny and sits on the floor looking pretty. It’s nice and the black finish means that it will fit well into most surroundings. The stand-out feature of the GX60 is that it can be powered using the ‘self-generating’ setting which utilises a set of rechargeable batteries. As you exercise the kinetic energy is transferred to a power coil located in the flywheel. The coil then charges the batteries providing ongoing power without the need to plug it into the mains. For this to work properly you do need to plug it into the mains and charge the batteries for 8 hours when you first assemble it. But then you can remove the adaptor, and thereafter, your motion keeps the batteries charged! 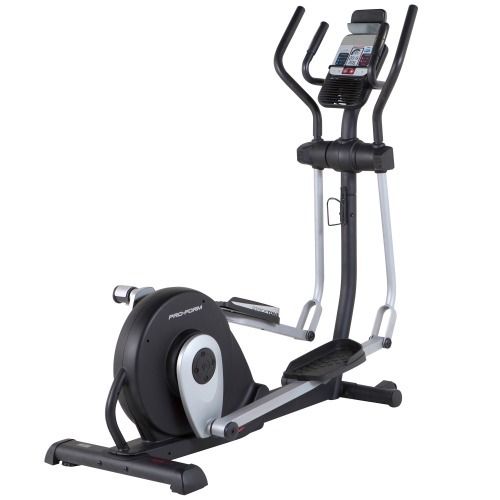 Reebok do say that if the elliptical is not used for a long period (i.e. months) sometimes the charge can dissipate and you will need to give them a little charge with the adaptor but this is to be expected and if it’s used regularly then there should be no need to have to do this. 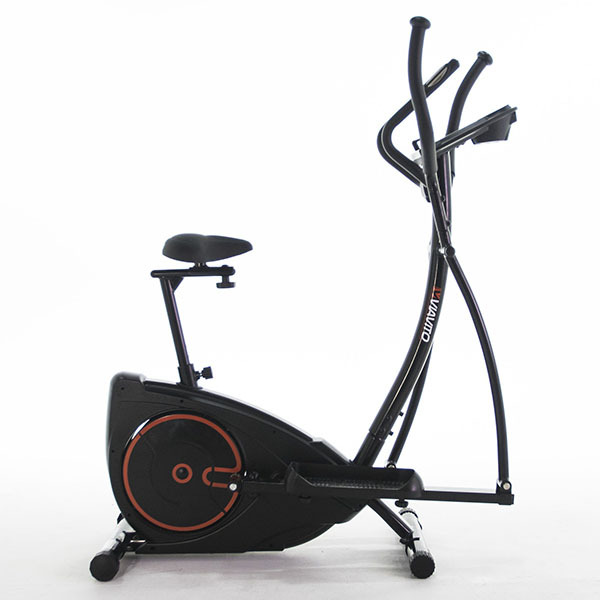 This does, of course, mean that you can put this cross trainer anywhere without worrying about the need to have it located near a socket, or risk tripping over wires, which is very handy indeed. The downside is that, like all rechargeable cells, the batteries in the GX60 will eventually cease to hold a charge and so far reebok haven’t said what to do when that time comes. That being said, they should last for a few years and there’s always the mains power supply you can switch to. In terms of sturdiness, it feels nice and steady as you climb aboard and there’s no undue wobbles or movement making it feel very safe. The action is nice and smooth and it’s virtually silent. 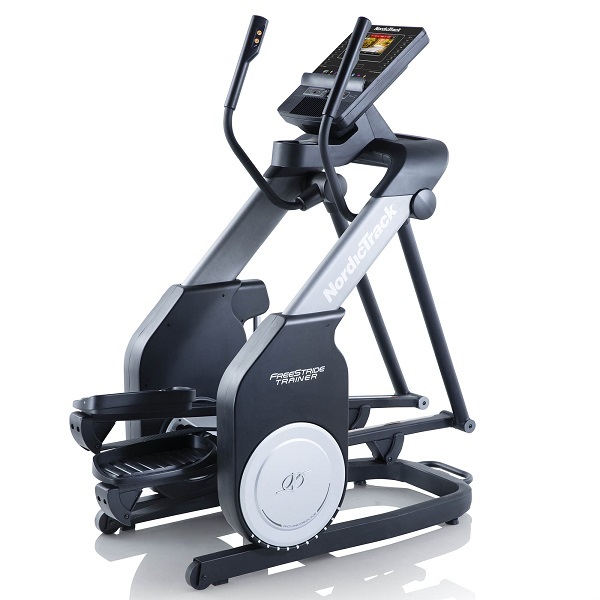 The 7kg (15.5lbs) flywheel does a fairly good job of keeping things steady all the way through the cycle and the 15″ (38cm) stride length, while a bit short, is relatively comfortable. 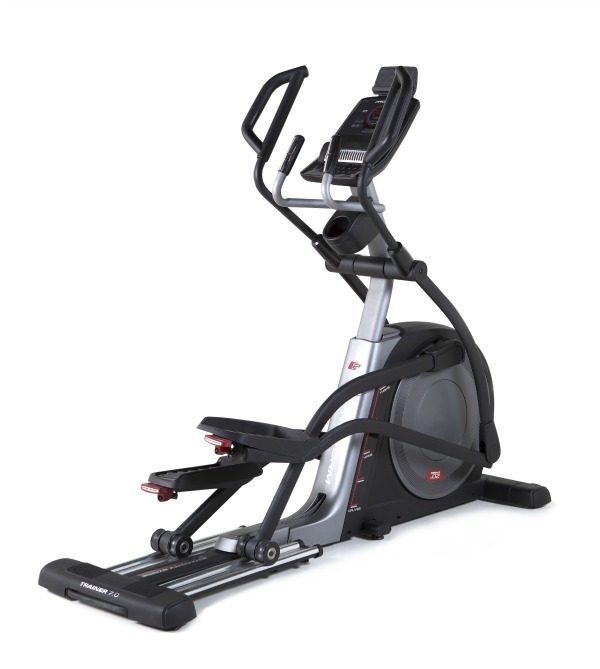 It doesn’t feel too restrictive like some other ellipticals with similar stride lengths. All this makes for a comfortable experience, though if you’re much over 6ft tall you will probably find the stride a bit too short. We were quite surprised to see a manual resistance system on its little brother but were relieved to see that on the GX60 Reebok have opted for computer controlled resistance. I say relieved, but in truth we’d have expected nothing less! There are 32 levels to choose from so it’s really quite easy to find a level that’s just right and the resistance itself it quite testing at the top end so should provide more than enough of a challenge for most users. The console screen isn’t large, but it is clear with large characters and a friendly blue backlit display. All the training data such as speed, time, distance, calories, pulse, heart rate, watts, body fat, RPM is all nice and easy to see and there are 4 user profiles that can be set up to increase the accuracy of the data, such as calorie expenditure. This is a particularly useful feature if multiple people in the household will be using the cross trainer. They’ve also kept the console as simple as possible in terms of buttons (there are 6) which are clear and logical and while the manual tells you how to use the computer, in truth, a little playing around with trial and error for a minute or two is enough to be able get going and start using the programmes. There are plenty of programmes and training modes to keep you entertained and motivated here and it’s possible to customise most of them. 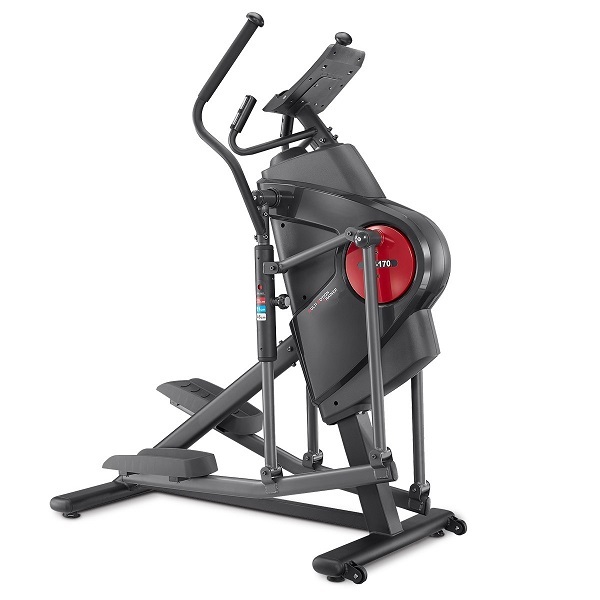 There are 12 preset programmes which, like many other (but not all) Reebok fitness machines in the current range, are scalable so if you find that you like a particular workout but find that as time goes on it starts to get too easy, then you can up the difficulty but stick to the same format. 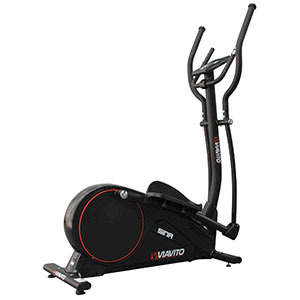 In addition to the presets there are also 4 different training modes for HRC training (3 preset and 1 target rate), Watts mode, manual mode and 1 user-created programme. There’s also a recovery mode which can be activated at any time during or after your session. 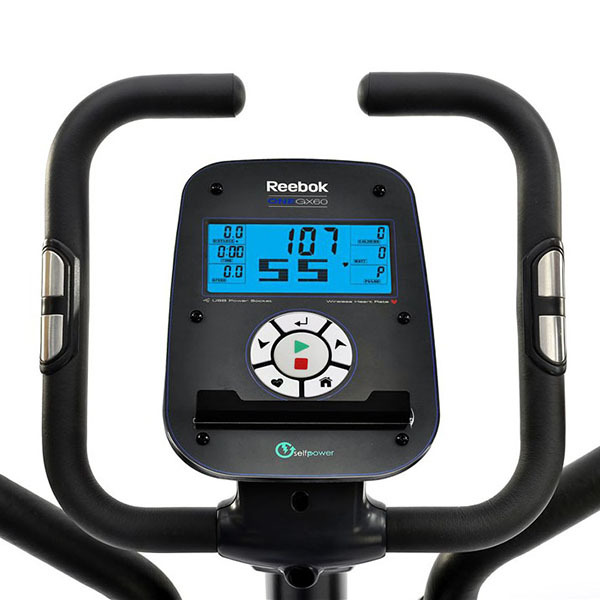 Unlike its little brother a wireless heart rate receiver is built into the console and there’s a USB charging port and a tablet/smartphone holder so you can place your device in front of you on the console and keep it topped up while you perform your workout. Sadly the USB cable doesn’t do any more than charge your device and there are no interactive training features available as there are on some of the GX60s competitors. Also featured is a water bottle holder on the main post at the front – a small detail yes, but a most welcome one. 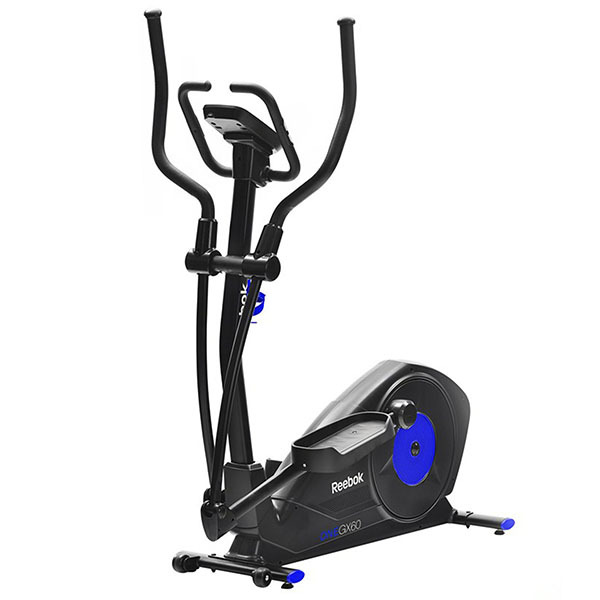 All in all the Reebok One GX60 is a good cross trainer that’s practical due to its size and the ability to plonk it anywhere you like without needing to plug it in. 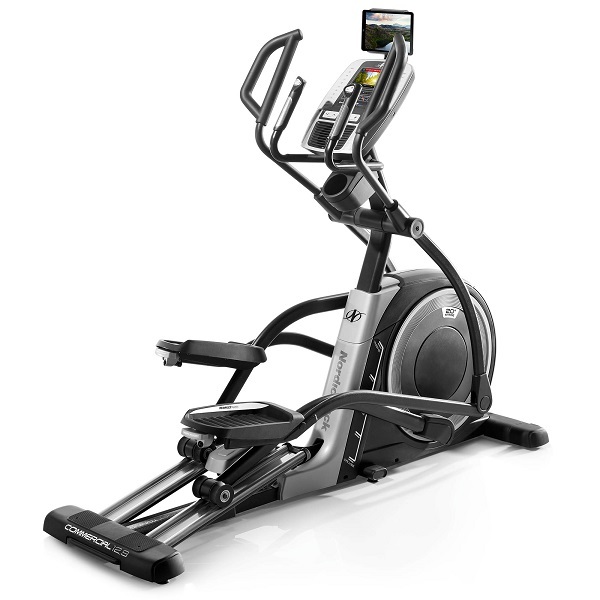 This is a lot of elliptical for the money. It's smooth, quiet and stable, has plenty to keep you challenged and motivated and also some nice touches like the USB charger, tablet and water bottle holders and wireless heart rate receiver. The fact that you can place it anywhere in the home without worrying about power sockets is also a bonus. However, we have to point out that Viavito Sina is the one to beat and currently available for less money!